Illinois Attorney General Lisa Madigan announced her own clergy abuse investigation last month. The Roman Catholic church has long had its own legal system, incorporating a judicial framework and a complex set of laws, or canons, regulating church organization. Critics, however, say canon laws assign excessive importance to the protection of church institutions, encourage secrecy over transparency, and favor rehabilitating wayward priests rather than punishing them. While abusive priests can be defrocked for misconduct, the church cannot send anyone to prison. The alleged shortcomings of the canon law system mean that civil authorities are increasingly taking the initiative to investigate Catholic clergy abuse on their own. 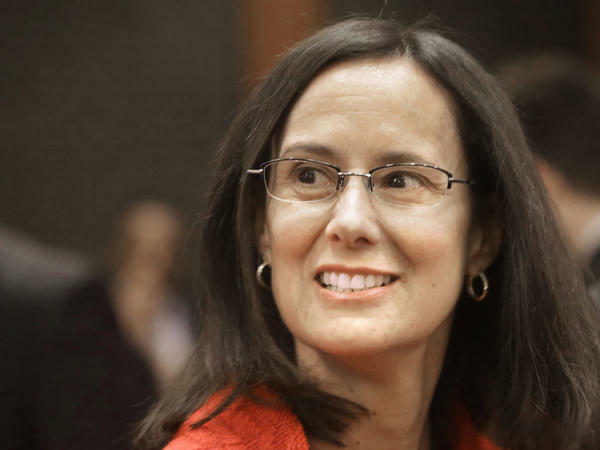 "Because of its structures and because of how it has responded in the past, the Catholic church may in some ways be more ripe for these abuses to happen and fester," says Illinois Attorney General Lisa Madigan. Last month, Madigan launched an inquiry into Catholic dioceses in her state, looking for unreported cases of clergy misconduct. She took the action despite assurances from the Chicago archdiocese that it is already investigating abuse allegations and, since 2002, has forwarded them all to the appropriate civil authorities. "The problem is, I'm not sure that's accurate," Madigan explains. "So there has to be an independent investigation that will allow for a full and complete accounting." Madigan acted after a grand jury in Pennsylvania reported in August that more than 300 priests in six dioceses had abused children in recent decades and that bishops had covered up the crimes. Attorneys general in Missouri, New York, and Florida are exploring the possibility of doing their own clergy abuse investigations. To be clear, child molestation is considered a criminal act under Catholic law. Canon number 1395 in the Code of Canon Law states that a priest found to have had sexual contact with a minor under the age of sixteen is to be punished "with just penalties, not excluding dismissal from the clerical state if the case so warrants." Within the church, defrocking a priest is considered an especially severe punishment. "I don't see this [abuse crisis] as a failure of canon law," says Nicholas Cafardi, dean emeritus of the Duquesne University Law School and also a trained canon lawyer. "I think the deficiency was the failure to use the system." "Most of the cases in the Pennsylvania grand jury report happened before 1990," Cafardi notes. "Even in those years it was a canonical crime for a clergyman to sexually abuse a child. They should have been processed under the canon law, and they weren't." Critics contend, however, that one reason more priests have not been held accountable by church authorities is that other aspects of canon law weaken the incentives for punishment. Canon 1341, for example, stipulates that a bishop should penalize a priest "only after he has ascertained that fraternal correction or rebuke or other means of pastoral solicitude cannot sufficiently repair the scandal, restore justice, reform the offender." In practice, the preference for "fraternal correction" or a "pastoral" solution can mean a bishop goes easy on an abusive priest, even one who has molested children. "The bishop will bring the priest in, ask him if he's going to do this again or if he's over it," says Carolyn Warner, a professor of political science at Arizona State University who has studied Catholic institutions. "In some cases, the bishop will send the priest for counseling, typically to a system run by Catholic priests who are specialists in this area." For Cafardi, a former advisor to the U.S. Conference of Catholic Bishops on clergy abuse issues, such cases reflect poorly on the bishops themselves, however, not on the canonical system. "Our bishops made a choice in those days," Cafardi says. "Instead of going the logical route and starting canonical criminal proceedings against these men, they chose therapy." Church authorities who have tolerated abusive priests, or transferred them to other parishes rather than defrocking them, may also have been thinking of the canonical admonition to "repair scandal." In Roman Catholic usage, a "scandal" is "an attitude or behavior which leads another to do evil" or perhaps draw someone "into spiritual death." Some bishops, Warner argues, may have opted to hide evidence of child molesters in the priesthood out of a fear that if such behaviors were to become public, the priesthood would lose honor and credibility. "You don't want to let parishioners know about these situations," Warner says, "because that might cause them to question their faith." In the end, however, efforts by bishops to protect the church from embarrassment backfired by undermining faith in the church's ability to police its own and by spurring civil authorities to conduct their own investigations of church actions. "I think you're going to see that demanded even by the laity in the church," says Illinois Attorney General Madigan. "Otherwise there is going to be continued concern and a resulting lack of trust."